Prototype: One (1) Czech Railroad (České drahy ČD) type B 249 express train passenger car, 2nd class. The car looks as it did in 2016/2017. Built starting in 1968. Model: The car has a close coupler mechanism. Interior lighting can be installed in the car. Length over the buffers 153 mm / 6". 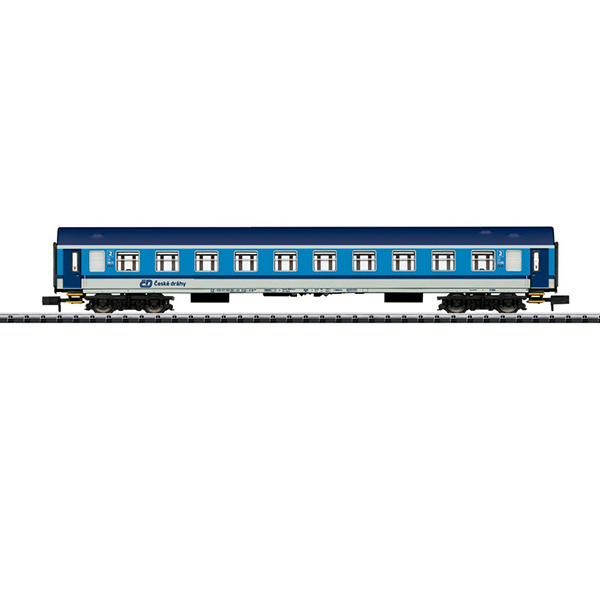 Add-on car for the 15935 passenger car set.